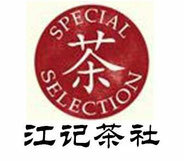 Among various kinds of faience teawares, blue and white porcelains attract the most attention. They refer to the patterns made directly in the porcelain bases and added a layer of transparent glaze with oxidized cobalt as colorant. 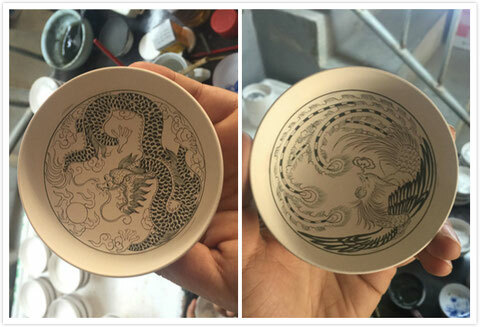 They will be deoxidized about 1300℃ and then the porcelain will be completed. Blue and white patterns set each other off, simple but elegant. 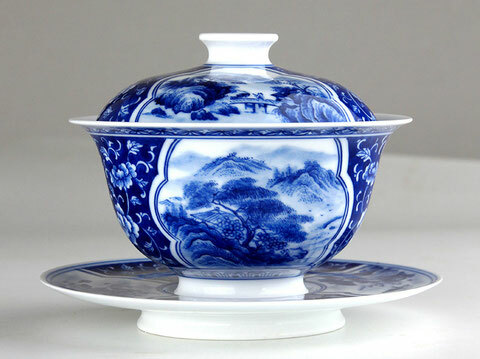 Since the pattern is made over the glaze, it looks brighter, which also adds charm to blue and white porcelain teawares. 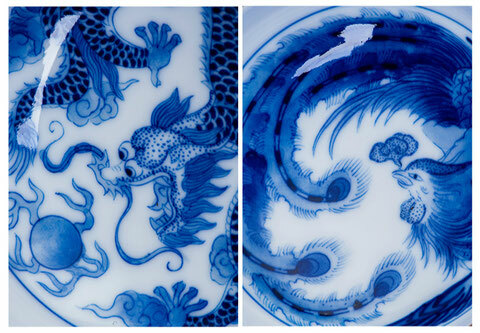 Since the painting skill of blue and white porcelain was at the very high level, especially its application of traditional Chinese painting skills to porcelains, it could be taken as great achievements of painting skills in the Yuan Dynasty. 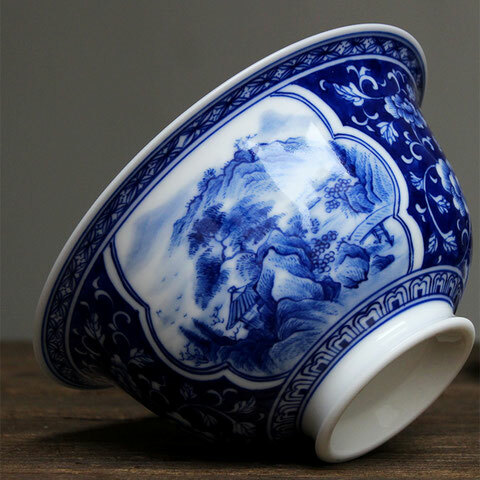 Then in the Ming Dynasty, blue and white porcelains produced in Jingdezhen, like tea pots, tea cups without handles and tea bowls had more kinds of patterns and tea bowls had more kinds of patterns and higher quality. In terms of shape, model or pattern, blue and white porcelain was the best throughout the country and the model for the other kilns which also made this kind. 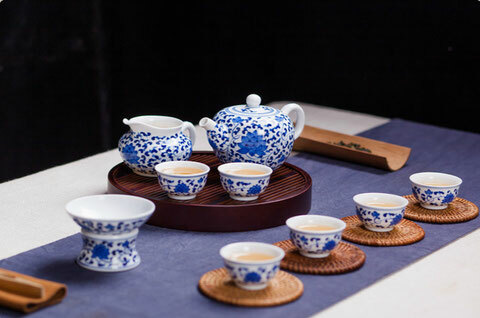 In Qing Dynasty, especially during the reign of Emperor Kangxi, Yongzheng and Qianlong (1654-1799), blue-and-white porcelain teasets reached another peak in the history of ancient porcelain.